100% FREE! 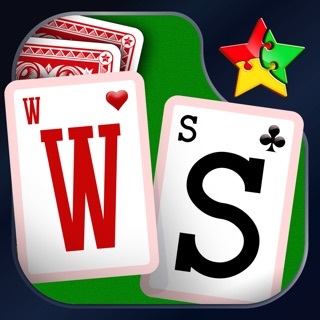 DOWNLOAD NOW and start having fun with your favorite solitaire card games! • You can also drag and drop cards and stacks if you want to! 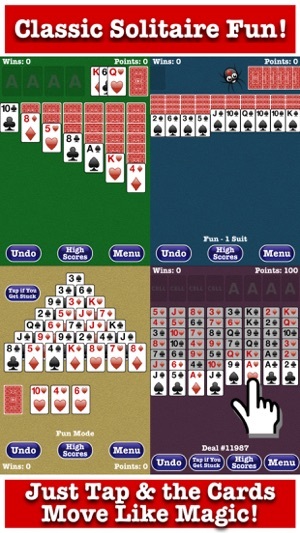 Just downloaded Boy Howdy Solitaire to replace Microsoft Solitaire, a good move. Like the fact that there are no ads that I have to put up with. The only thing that you could get better, is the dull colors of the cards and the card movement is a little on the slow side. Fix the color issue and the slow card movement without changing anything else and you have hit a grand slam home run. One last suggestion, it would be nice if you would have a option to track my best scores without having to go into the Game Center. I’m not interested in other people’s scores, only mine. Could you please add this to the app and make me and other players happy? I have an iPhone5se and an old iPad that I can still play the BH Classic Solitaire. It’s a quick game, cards fly to their places as they either show up or I tap them and I usually win 75% of the time which keeps me playing. I also now have a new iPhone 6 with BH Solitaire Games and now I almost never win the much slower Classic game. I don’t really care about the other game choices. If it’s all about the ads, I’d put up with them to play winning games. Howdy! 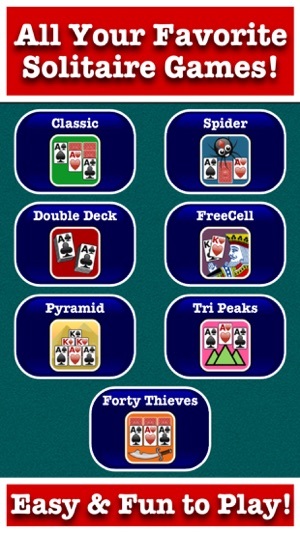 The Classic Solitaire in our Collection is the same game as our old stand-alone Classic Solitaire app. The Solitaire Collection simply takes all of our well-loved solitaire games and puts them in one app to make them easier to find. We didn't make any changes to the games. You can try playing Draw One to increase your likelihood of winning (in Settings uncheck the Draw 3 box.) Please use the App Support link here or the Contact Us button in the game if you have any questions. It's great having all of these solitaire games available. I'm especially enjoying Double Deck and 40 Thieves. Still playing every day, actually a few times a day. Still rating as a 5 star site, play multiple times a day. Thanks for such great games, happy holidays.